The Blooming Beauty bouquet conveys adoration and love. 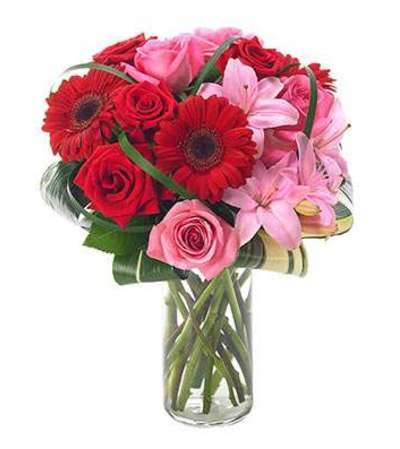 Pink Asiatic lilies are arranged with beautiful hot pink roses and red gerbera daisies and roses. Situated in a clear glass cylinder, this lovely pink and red bouquet is ideal for any celebration.